What’s a growth mindset vs. a fixed mindset? In a fixed mindset people believe their basic abilities, their intelligence, their talents, are just fixed traits that do not change. In a growth mindset, people believe that their most basic abilities can be developed through dedication and hard work—our brains act more like a muscle that develops than a fixed computer processor. Research has shown that having a growth mindset creates a love of learning and a resilience that is essential for great accomplishment. Our panel of guests will inspire students to embrace a growth mindset—just as our guests did in their lives—so even our youngest students can attain greatness starting today! 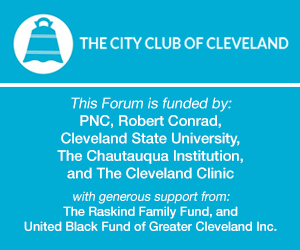 This is The City Club of Cleveland's first Elementary Youth Forum, centering on the concept of developing a growth mindset and its power in shaping success.